I’ve had this old tablecloth lying around since this Galentine’s Day shoot a year and a half ago. And while I love it, I have to admit, it wasn’t getting a whole lot of use. 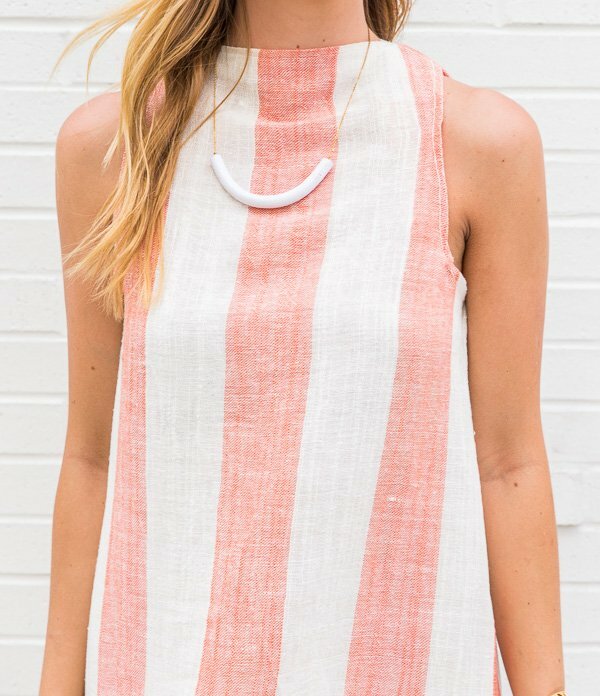 It’s pretty big and I really love the striped pattern, so instead of letting it continue to collect dust, I repurposed it into a summer shift dress. 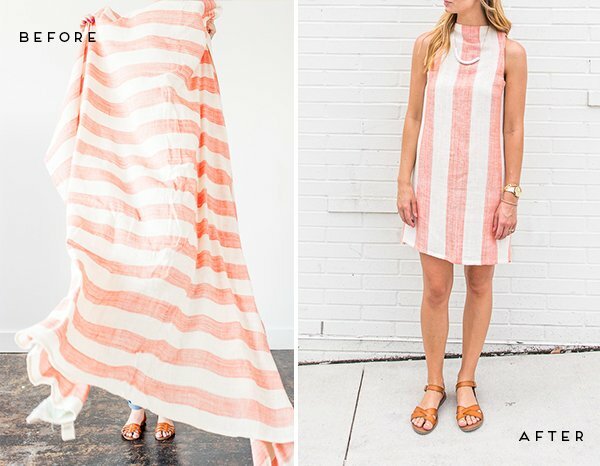 Yep, a tablecloth turned dress. Am I crazy? Maybe. But the finished dress looks nothing like a table textile. 1. Choose the dress you will be using as a base pattern and measure the width to determine the amount of fabric you’ll need (plus an additional half yard). 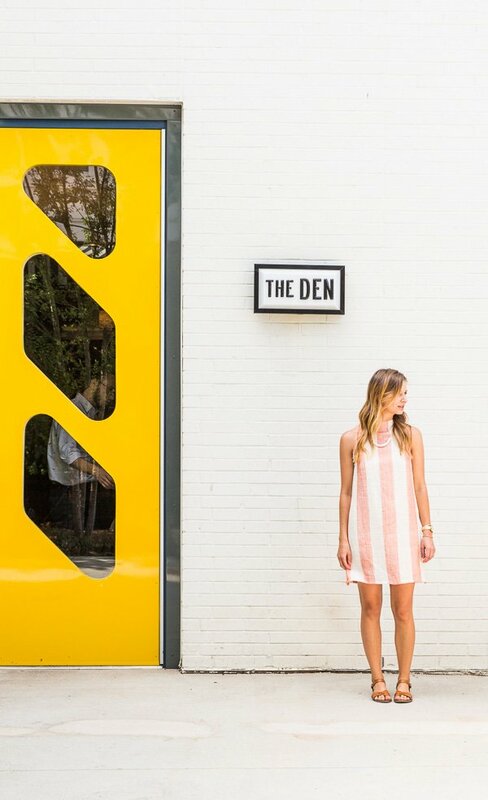 Small to medium dresses will typically need about two yards. 2. 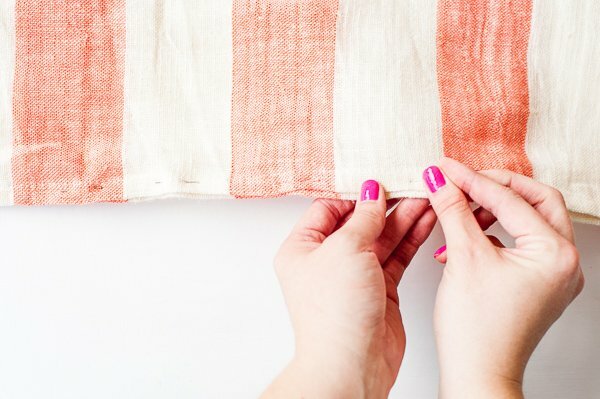 Fold your fabric so that the fronts are facing each other (you will be marking on the inside of the fabric) and lay your dress flat on top to use as a pattern. Since we used a tablecloth and liked the hem, the dress was sewn close to the bottom in order to be able to re-use that portion. Just FYI. 3. 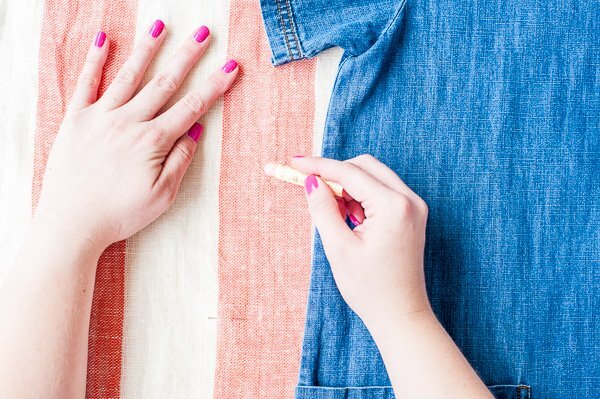 Mark around your dress using a fabric pencil or chalk and make sure to add an extra 1.5 to 2 inches for each edge. (Or in our case 3 sides, instead of 4 because we kept the hem.) We wanted a little more flare at the bottom than the dress that was used as a guide, so we gradually increased the width on each side by 1 inch more, after the waist. 4. 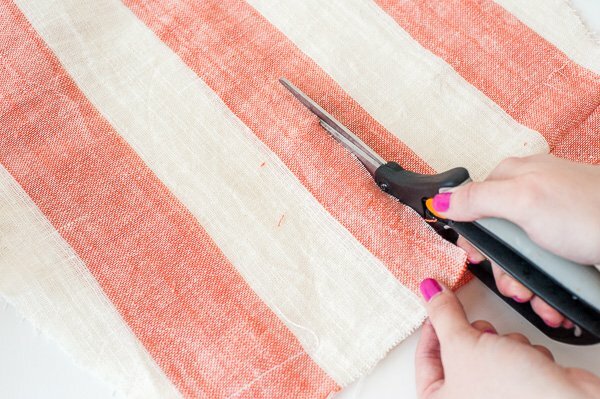 When cutting your fabric start by cutting half of the pattern and then folding it over on itself to insure that your dress will be symmetrical. 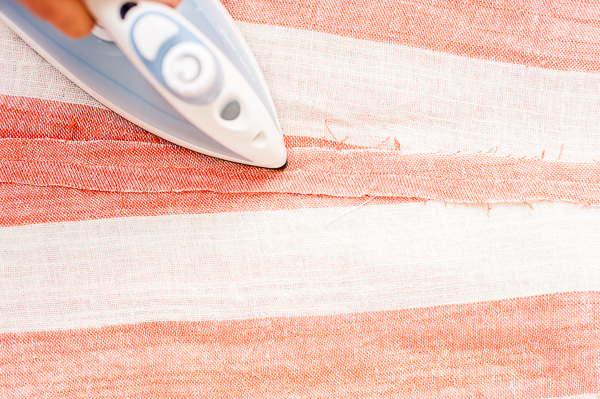 No need to cut into the neckline yet, so leave that cut straight across for the shoulders. 5. 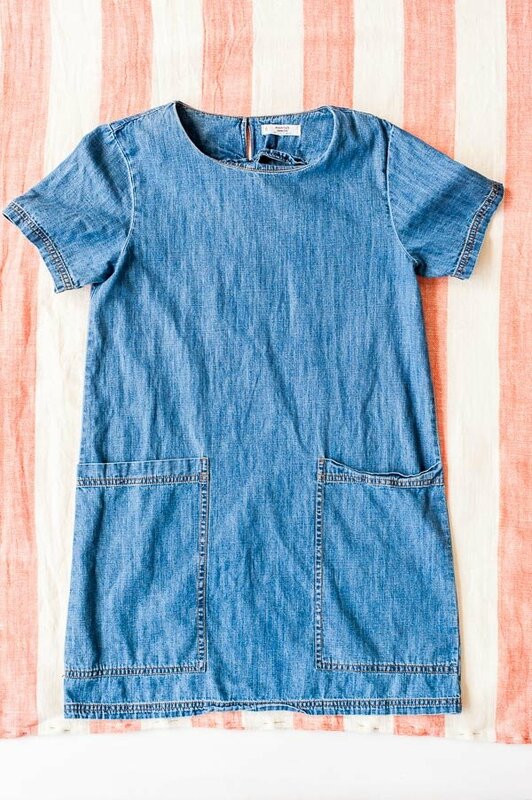 Start by sewing the sides of the dress the length of the hem to the bottom of the armpit, making sure to leave 1/2 inch to 1 inch for finishing up the sleeve area. Feel free to do a double stitch on this section for added security. 6. Next, pin and sew the shoulders of your dress, again leaving a little extra space, this time for the arm as well as the neckline. 7. To create a more interesting look than the original dress that was used as a template, we made the arm holes scoop in a little more than the original and kept the neckline straight across. 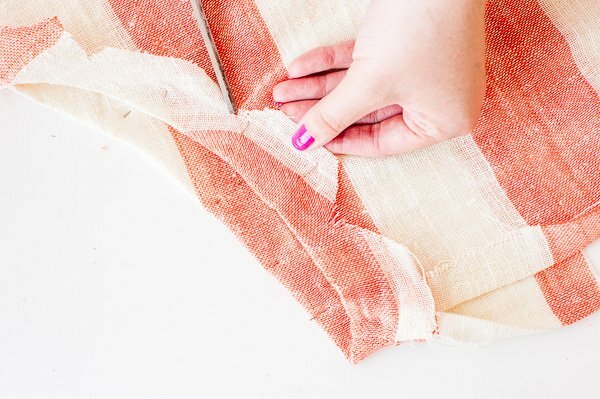 To do that, roll in the fabric and pin once you get the desired shape. And once those have been pinned, just sew all the way around leaving 1/2 inch hem. *Feel free to sew darts in if you need to as well. We ended up adding those later. 8. 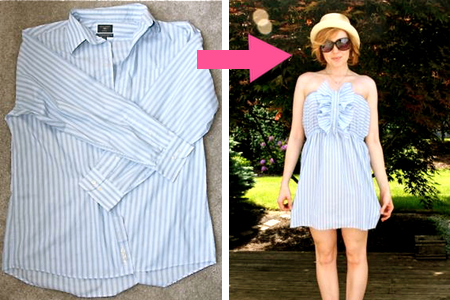 To keep a straight neckline, turn it under and stitch across on the front. You can also add any kind of neckline you would like using the same principles as the last step. 9. For the back, a keyhole was cut to make it easy to slip over the head. 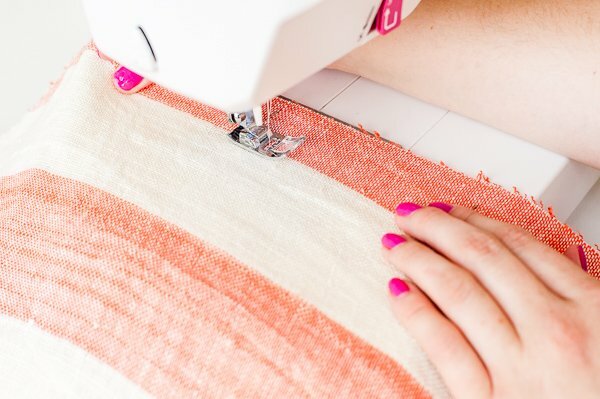 You can make your keyhole as long as you like by cutting straight down the back, turning the fabric under on each side and stitching from bottom to top. Once you’ve done that, finish the back of the neckline in the same way. 10. Add a button and elastic to your keyhole (these were both hand stitched). 11. Iron fabric, including any inside seams that are sticking up, etc. The back of the dress is one of my favorite parts…We made our own button from a flat wood block that we drilled two holes for button holes. I think it creates a more unique look with that little surprise in the back. Do you like it too? That’s so sweet. Thanks Sophie! This is awesome and adorable! Also, where’d you get those sweet sandals? This is a beautiful project, if only I had such a tablecloth lying around! Love the stripes, and the colour! Thanks so much Kat, Sophie, and Michelle. This dress is adorable! I love the print and the hexagon detail on the back is too cute! Thanks Andrea. That hexagonal button is one of my favorite parts. Glad you like it. I love that you repurposed something that didn’t get much use into something that could be used daily (well, maybe weekly between washings). I’m not bold enough to make clothes to wear outside of the house. Maybe if I were better at sewing! Totally hear ya, Emily. I will say though, this dress is really really easy to make. You might be surprised if it you give it a try. Superb!! 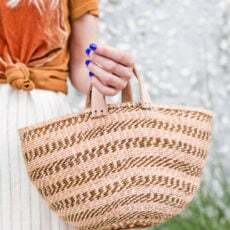 A creative DIY style that looks fab. Ok this is seriously so creative! I would have never even thought you can do that – and it’s so chic! If you didn’t explained how you made this I would say you are lying lol. Seriously this is crazy, now my table clothes in risk I can experiment anytime soon lol. You are amazing thanks for sharing this amazing blog. Keep it up !! Fun idea, have changed shape of dining table to round great use for oblong cloths, Thanks!